Described as one of the world’s richest personalities, Samuel Tak Lee is a London based billionaire and real estate developer. 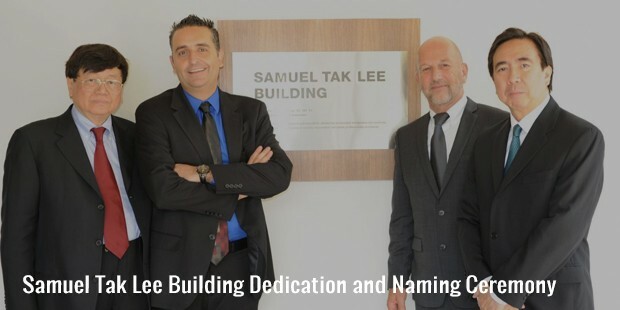 With a brilliant academic record, Samuel Tak Lee is known for construction of architectural superstructures. He is reputed to have given a new dimension to the architecture profession. He is the director of Prudential Enterprises, a real estate firm based in Hong Kong. Samuel Tak Lee was born in April 1939 in Hong Kong. Unfortunately, information about his childhood has not come into the public domain. As far as academics go, undoubtedly he had a remarkable academic life. He studied Civil and Environmental Engineering from the prestigious Massachusetts Institute of Technology. He is also a post graduate MBA degree holder from the highly reputed Harvard Business School. Samuel started his early career during his period in the prestigious Harvard Business School. It is almost unknown as to how he started his business in the early years. However, success was not very far away from Samuel Tak Lee. 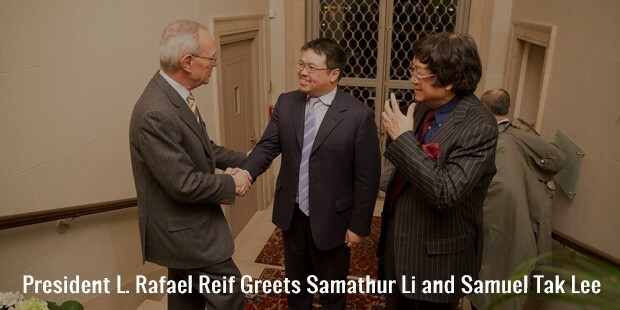 With brilliant business acumen, Samuel’s greatest breakthrough was when he purchased the London’s historic Langham Estate for a huge sum of $75 million in 1994. Following this, he went on to develop the Knightsbridge Apartment in Knightsbridge, London. Simultaneously he built his holdings to some 14 acres between the neighborhood areas of Soho and Mayfair. In order to expand his business, Samuel offered to buy a stake of 9.3% of Shaftesbury PLC, which happens to be the owner of over 580 restaurants and stores in London. Samuel has the reputation of being a ‘genuinely’ rich person in the world. With a good knowledge of architecture, Samuel holds the reputation of incorporating the ideas against the conventional norms. He is known for constructing magnificent architectural superstructures. His real estate business stretches from Hong Kong to Tokyo in Japan, London and Geneva. Foresight, dynamism, and calculated risk taking are his personality traits for success. He has the reputation of being a great philanthropist as well. In 2007, he donated $9 million to Hong Kong Diocesan Boys School where he was a student between 1951 and 1958. 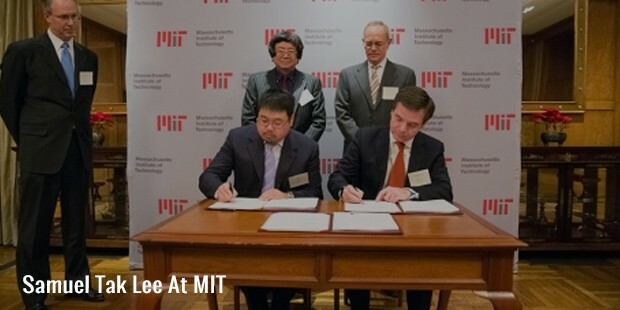 He also donated a stunning sum of $118 million to his alma mater Massachusetts Institute of Technology to establish a real estate entrepreneurship lab focused on China. 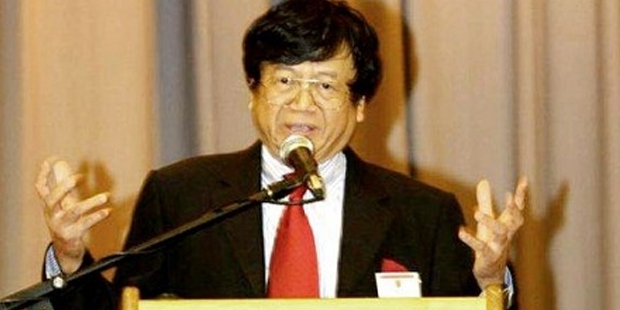 Samuel Lee holds an asset value of $2.9 billion as recorded by Forbes in 2015. Samuel Tak Lee is based in London. 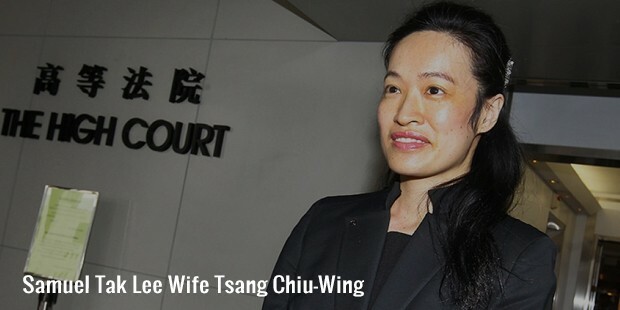 In 2014, Lee got divorced from his ex-wife Florence Tsang Chiu-Wing. Lee maintains a quiet personal life and prefers to keep it away from the public light. Samuel Tak Lee has numerous awards and achievements to his credit. 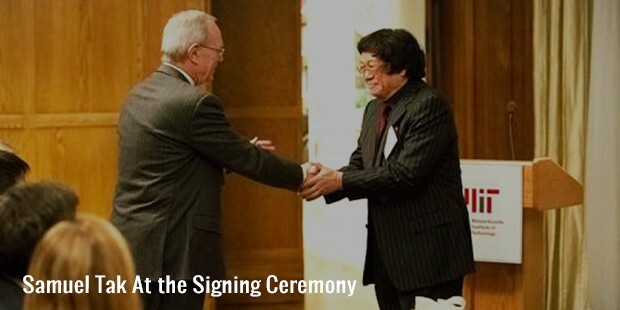 The renowned Massachusetts Institute of Technology named a chair in the real estate entrepreneurship and development in honor of Samuel Lee. It will be a full time appointment at the assistant, associate or the professor level focusing on the real estate investment, design and entrepreneurship in China. A devoted educationist, Samuel Lee said, “This is a period of tremendous change and opportunity for entrepreneurs in China and around the world. I am eager to connect ambitious, talented students with the skills and knowledge that will help them succeed”.